« How much has UO spent on lawyers to fight our grad students? 2) How is that WSU does relatively well? So they want the endowment to be in the $1-1.3 B range. Not bad, not bad at all, but I thought the goal was to be in the top-25? I’m assuming the difference of $700m is where donations to athletics is counted? 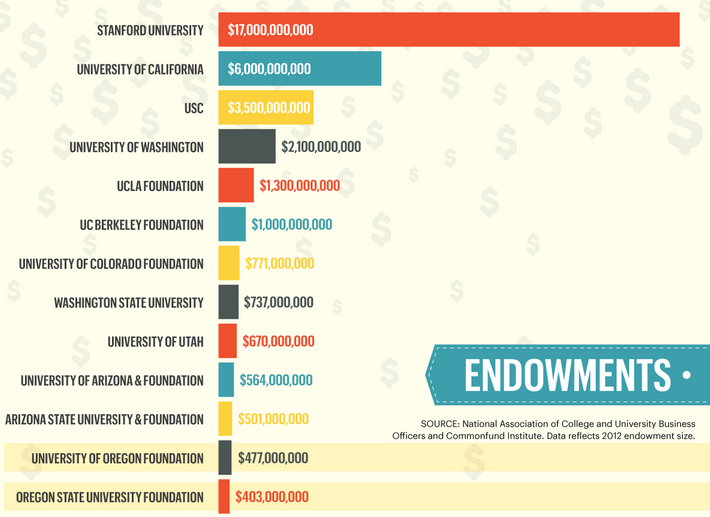 4) The UC and a UT systems have some mad endowments at the system and then the UC schools also have large endowments. 5) The authority on Endowments… Check out the NCES tables!